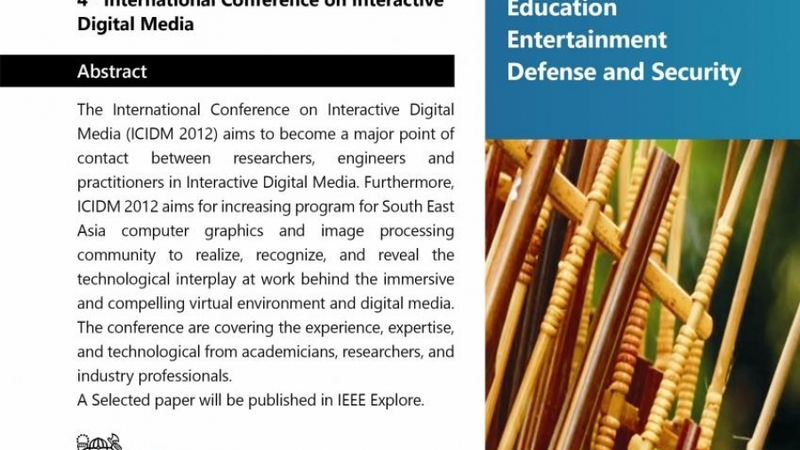 The International Conference on Interactive Digital Media (ICIDM 2015) aims to become a major point of contact between researchers, engineers and practitioners in Interactive Digital Media. Furthermore, ICIDM 2015 aims for increasing program for South East Asia computer graphics and image processing community to realize, recognize, and reveal the technological interplay at work behind the immersive and compelling virtual environment and digital media. The conference are covering the experience, expertise, and technological from academicians, researchers, and industry professionals.